Are you frustrated trying to use Facebook ads to grow your business? Are you confused about how others make it look SO easy? About ready to unfriend Facebook? 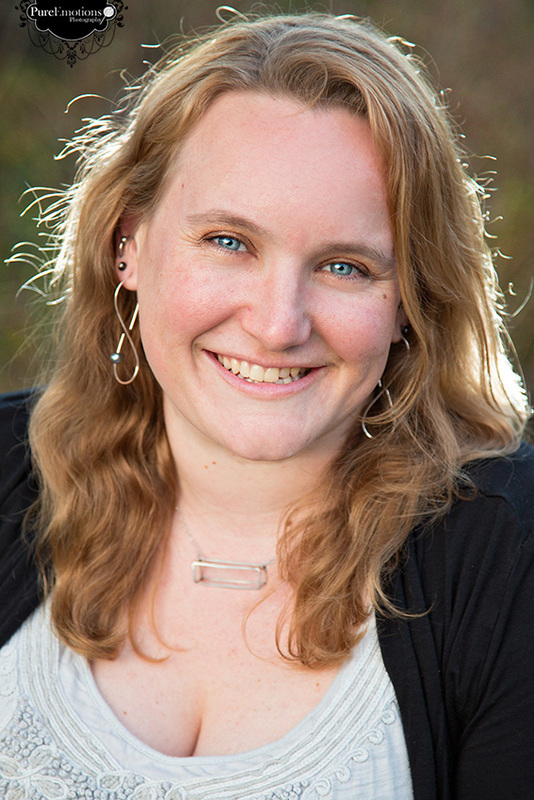 And I’m here to help you use Facebook ads to monetize your passion and get more traffic, more engagement, and more sales –for less frustration and way more fun! That ‘way more fun’ part is key. I believe that if it isn’t fun, why do it? Okay, okay, I know not everything is always going to be fun. But it can (and should) be the majority of the time, right? I taught elementary school for eight years, so I’m good at breaking things down to make them as easy as possible. I’m a multi-passionate entrepreneur and an action taker who believes we are all lifelong learners. When I get excited about something, I love to learn as much as I can, as fast as I can. And that’s exactly what happened with me and Facebook. It’s a bit of a love story really. I started working with my family in August of 2014, sharing a health product that has had a profound impact on my dad’s health. I’d already been creating graphics and websites and playing with social media a bit in my other businesses, and I knew that our new business needed these things. So, I started implementing what I knew and began attending workshops (live and online), watching webinars, listening to about a million podcasts, and working with a coach to learn everything I could about how to effectively grow a business with Facebook. By the end of January 2015, we had 1,000 Facebook Fans. Then I started playing with Facebook Ads. And the majority of our customers first hear about us on Facebook! I love this stuff! I have so much FUN playing in Facebook and figuring out how to tweak little things to make it more effective. I don’t like ordinary and average results. I expect better for myself and others. And that, my friend, is how you get to benefit. My goal is to give you amazing, effective strategies you can use right away to grow your business on Facebook. Or know you want to run Facebook Ads, but first you need to get your Facebook Fan Page up and running? 1. I’m a high school drop-out with a Master’s degree. Okay, that’s true but a bit misleading. When I was in 11th grade, I was tired of high school. I wasn’t learning much and I was itching to run off to college. This was just before high schools began offering college credit. I tried to do a dual enrollment, where I would graduate from high school at the end of my freshman year. My high school wouldn’t go for it. I was already accepted into college, so with several months left in 11th grade, I got my GED, dropped out, and started my freshman year of college the following school year. 2. My heart is split between the ocean and the mountains. I grew up in Tampa Bay but ran away as soon as I could (see #1) to the mountains of Asheville, NC. I lived there for 13 years. My wife and I moved back to Tampa Bay and live a few minutes from the beach, which I LOVE. But I miss Asheville every day. 3. I’m a vegetarian foodie. This goes back to missing Asheville. I start drooling just thinking about all the amazing food there. St Pete has some good stuff, but not like Asheville. P.S. If you ever go there to visit cause it seems to be the popular thing to do now—places I highly recommend—Zen Sushi, (Get the Joy roll. It is indeed Joyful), BiscuitHead, (Holy crap that place is amazing.) 12 Bones (It’s even Obama approved), and The Hop for weirdly flavored and awesome ice cream. Laughing Seed is an old vegetarian staple. Candy LOVES Carmels for their pizza and their ranch (Which is one of their least fancy items. My good friend is one of the owners, so we used to go there a lot.) Early Girl has an amazing biscuit with gravy and delicious double-cut locally raised bacon. (I used to eat some meat.) There’s more but that’s a pretty good sized list on a website that has nothing to do with where to eat in Asheville. 4. I am a dog person. I love all animals, but I am definitely a dog person. 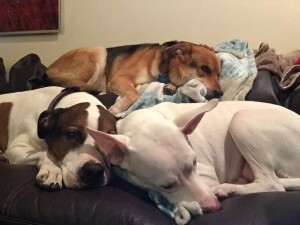 We have 3 dogs. They give us endless amusement. We had to say goodbye to my 17 year-old Eskie-mix, Leah, last year and that was one of the hardest things I have ever done. She was with me for 13 of those years and was my honey. 5. I am all about dog rescue. All of our dogs are rescues of some sort.Our newest dog, Dixie (named after Daryl Dixon) is a rescue from Suncoast Animal League (SAL). She actually came from a high-kill shelter in Alabama, during an effort where 250 Dogs from AL, GA, and SC were flown all over the place to be rescued! Pretty amazing, right? 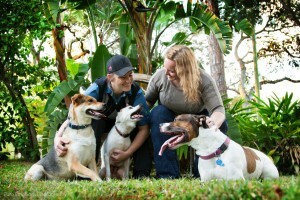 I pretty regularly stalk SAL’s Facebook page because they rescue so many dogs and do so much good for animals. I also pretty regularly cry over amazing things I see happen on there. 6. 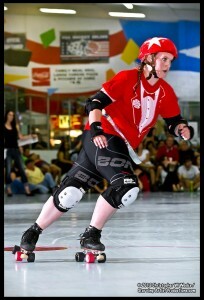 I played roller derby for 7 years. I loved it. My favorite part was knocking the crap out of another skater and sending her flying. 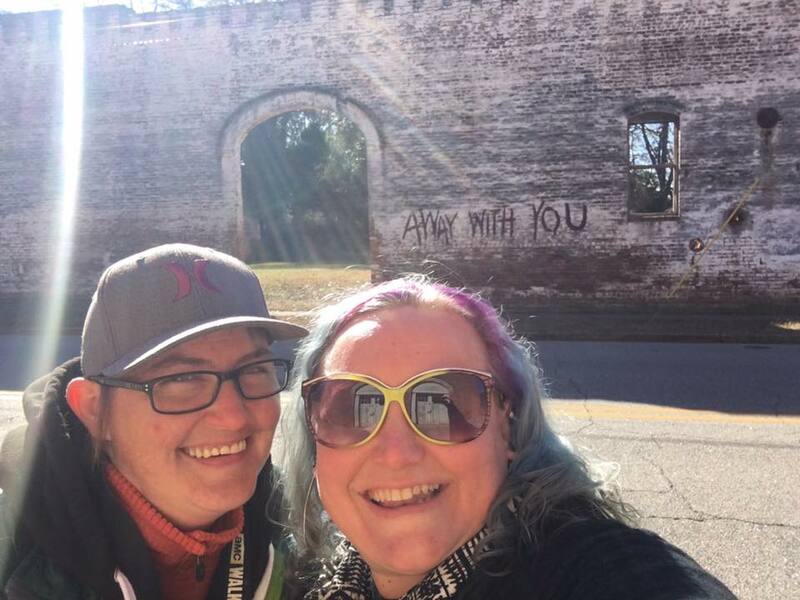 While there were some downsides to it, I got to travel all over the US (Seattle, LA, Dallas, Indianapolis, Las Vegas, and quite a few other places), I made friends all over the place, AND that’s how I met my wife. 7. I am secretly a mermaid. I LOVE being in the water. Beach, pool, or even bath tub. Though the beach is my favorite. Especially because I often see dolphins when I’m there. 8. In college, I was on the whitewater canoe and kayak team. I was pretty good too. I preferred canoe, or C1—which is a converted kayak where you sit on your knees and paddle like a canoe. I even competed in events like slalom and long racing and usually placed. 9. I am a total book nerd. I love to read. I especially love to read when I’m soaking in the tub or pool. And partially because of that, I prefer real books to an e-reader. I like a lot of genres, but my two favorites tend to be YA (I went through a big dystopian society phase, but now I’m including more realistic fiction as well) and crime thrillers. As for favorite authors—ooh, that list is long. Here’s an incomplete list, in no particular order…David Sedaris, Augusten Burroughs, Jennifer Weiner, Jodi Piccoult, Rainbow Rowell, Kiera Cass, Ally Condie, and Tana French. 10. My wife and I are huge Walking Dead fans. 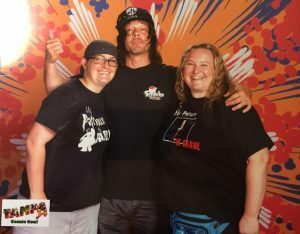 In addition to this being the only show we make sure to watch live (and then we watch Talking Dead right afterwards), we also love visiting Senoia, Georgia and the surrounding areas where the show is filmed and going to the conventions to meet the cast. I have never been such a nerd about tv or movies, but there you have it. Carol is my favorite, closely followed by Daryl. 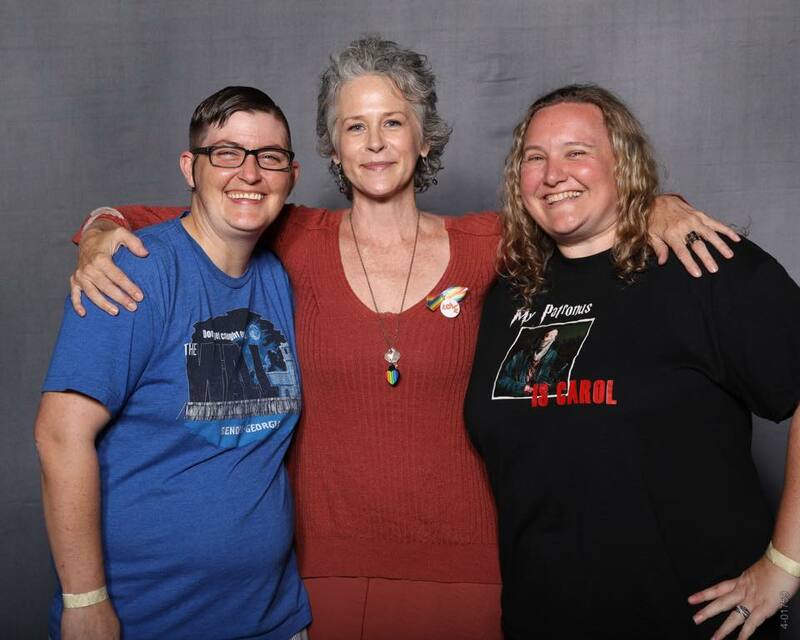 When we got to meet Melissa McBride, who plays Carol, my favorite! In front of the wall featured in the opening credits! With Norman Reedus, who plays Daryl.